A man accused of beheading his wife pleaded not guilty to her murder today, Wednesday December 16. Timothy Allen, 40, spoke only to confirm his name and plead not guilty to murdering Samantha Ho, 39, when appeared at Cambridge Crown Court. His defence barrister Jeremy Dein QC said his plea was based upon two questions, whether his client was fully responsible for the murder and whether he was sane when it happened. A report has been carried out in Mr Allen’s mental state by consultant forensic psychiatrist Dr Frank Farnham. This has been seen by judge Mark Lucraft QC who questioned if the prosecution were also planning on carrying out their own assessment of Mr Allen’s mental state. Prosecuting for the CPS Peter Gair replied that they were and it will be carried out by another consultant forensic psychiatrist Dr Philip Joseph and will be completed no later than January 29 next year. The case is set for a 10-day trial, heard by a High Court Judge, at Cambridge Crown Court on February 22 next year. Mr Allen is accused of cutting his wife’s head off at the home their shared in St Neots on Saturday, August 29. A dog was also found dead at the premises. 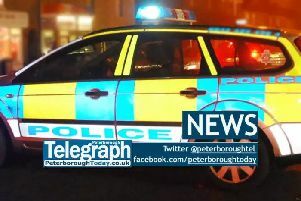 She was found dead at the scene and he was taken to Hinchingbrooke Hospital after being found with serious but not life-threatening injuries at the scene. Ms Ho worked for bio-science firm Asterand in Royston, Herts, where she had been employed for a decade. She previously worked as a research assistant for Pharmagene, a division of Asterand, and as a research associate at Cambridge-based DNA screening solutions firm Cytocell. She studied at Nottingham Trent University. He has been remanded in custody until the trial date.